Use this section to select your audio devices for talking, listening and ringing. It is advisable to move your preferred audio device to the top of the list. 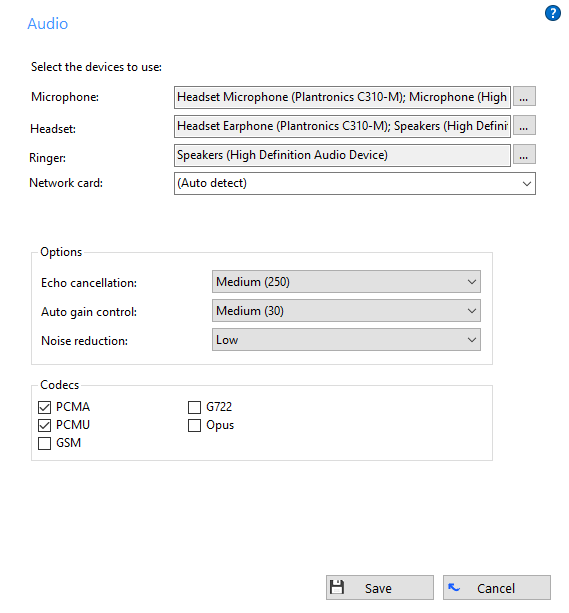 In some instances, if audio is not working correctly it may also be necessary to manually select the device your PC is using to connect to the LAN. Auto detect should always be tried first. Please refer to your IT partner before modifying these settings.